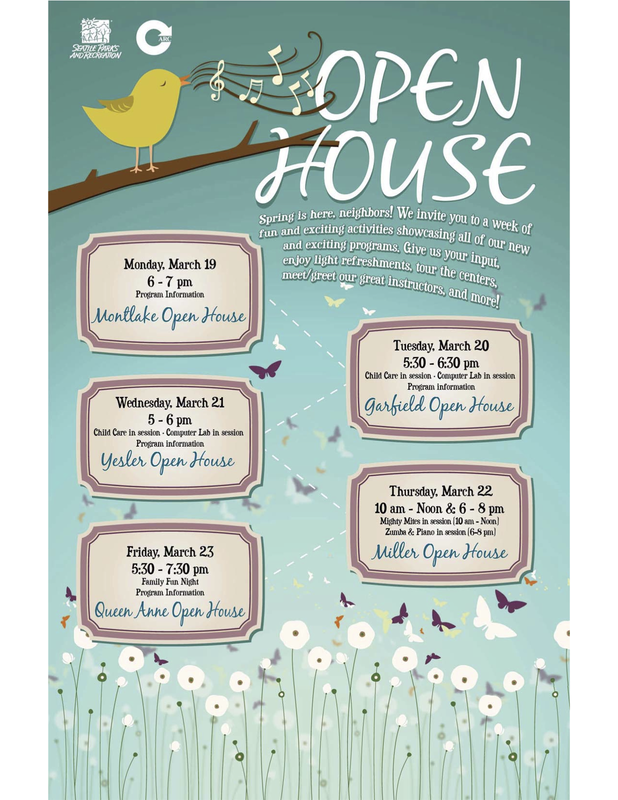 Seattle City Community Centers are all holding open houses this week, to show off some of what they have to offer. Our local Capitol Hill Community Center, the Miller Community Center at 330 -19th Ave E., gets its turn this Thursday, March 22nd. 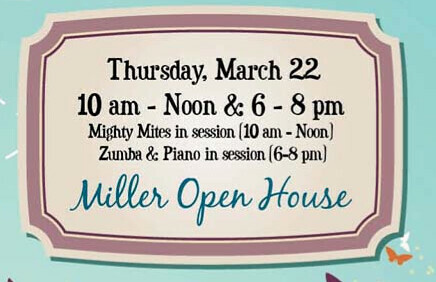 From 10 till noon you can sample the Mighty Mites toddler program (probably a good way for your toddler to burn off some steam in the gym) and from 6 to 8 you can sample Zumba dance/exercise or enjoy the Community center’s piano. Questions? Call the Center at 206-684-4753. Spring is here, neighbors! We invite to a showcase of our fun and exciting MIGHTY MITES PROGRAM. Our Mighty Program features a Bouncy Houses, tons of toys, cars, balls and much more; this is the perfect place to be before lunch. Please come meet other parents in the area while you toddler and infant aged children safely play in our indoor play area. This is also an opportunity to give us your input, enjoy light refreshments, and tour the centers. Call 206.684.4753, between the hours of 4pm-9pm, for more information. This entry was posted in Uncategorized by Andrew Taylor. Bookmark the permalink.